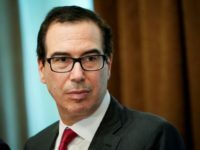 California Governor Jerry Brown vetoed a bill Saturday that would have allowed wealthy taxpayers in the state to continue paying high state taxes voluntarily, and to avoid President Donald Trump’s new cap on state and local tax (SALT) deductions. 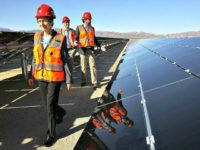 The California Assembly on Tuesday passed SB 100, which would mandate that 100 percent of retail electric sales come from renewable sources by 2045. 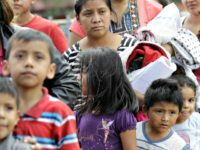 California state legislators passed a resolution Thursday calling on Congress to formally apologize, and for President Donald Trump to join them in acknowledging wrongdoing in separating illegal alien family units at the border. 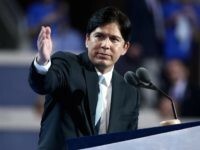 The California Democratic Party endorsed State Sen. Kevin de Léon (D-Los Angeles) over incumbent U.S. Sen. Dianne Feinstein (D-CA) on Saturday, as the two Democrats prepare to face off in the November general election. 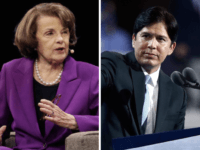 Democrats Sen. Dianne Feinstein (D-CA) and her challenger State Senate President pro Tem Kevin de León (D-Los Angeles) are competing for a second time for their party’s endorsement in the state of California, with the general election a mere four months away. 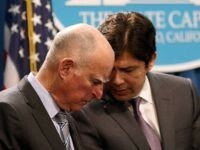 Thirty California Democrats are calling on Governor Jerry Brown to remove the state’s 400 National Guard members from the U.S.-Mexico border because of President Donald Trump’s “zero-tolerance” illegal immigration policy. 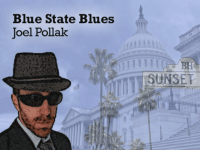 A newly released USC Dornsife/Los Angeles Times poll has found that Democratic Lt. Gov. Gavin Newsom is leading Republican John Cox by a wide margin in the race for governor. 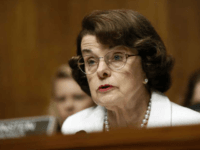 Incumbent U.S. Sen. Dianne Feinstein (D-CA) took first place in Tuesday’s primary in California, easing her way into the general election in November, where she will compete for a fifth term in office. Republican James Bradley is within “striking distance” of second place in the California primary for U.S. Senate, according to the latest University of California Berkeley Institute of Governmental Studies (IGS) poll. 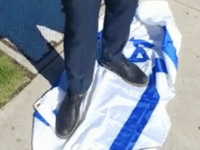 The California Republican Party ejected Patrick Little from its convention in San Diego on Saturday, as the antisemitic candidate for U.S. Senate tried to register for the gathering. Former President Barack Obama formally endorsed incumbent Sen. Dianne Feinstein (D-CA) in her re-election race on Friday, with just over a month to go before the June 5 primary. 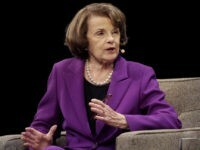 Sen. Dianne Feinstein (D-CA) has reversed her previous opposition to federal enforcement of anti-marijuana laws and now says that she supports allowing each state to determine its own path on legal marijuana. 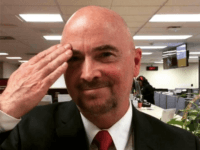 A new poll conducted by the University of California Berkeley’s Institute of Governmental Studies has shown an unknown Republican, James Bradley, in a statistical tie for second place with State Sen. Kevin de Léon (D-Los Angeles) in the race for U.S. Senate. 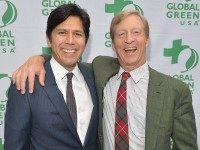 Billionaire left-wing donor Tom Steyer announced Wednesday that he is endorsing State Sen. Kevin de Léon (D-Los Angeles) over incumbent Sen. Dianne Feinstein (D-CA) in the primary race for U.S. Senate in California. 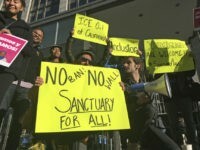 The author of California’s most prominent “sanctuary state” law (SB 54) claimed that Orange County’s Board of Supervisors voted 4-0 to join the Trump administration’s lawsuit against California this week to court the approval of a “racist” president. 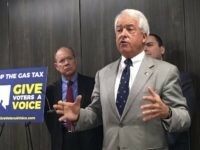 A new poll from the nonpartisan Public Policy Institute of California (PPIC) shows Republican businessman John Cox in second place, with Democrat Lt. Gov. Gavin Newsom leading the crowded field of mostly Democratic candidates in California’s gubernatorial race. 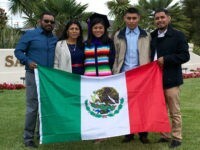 The Trump administration is criticizing the State of California over a decision to appoint an illegal alien, Lizbeth Mateo, to a statewide office for the first time. 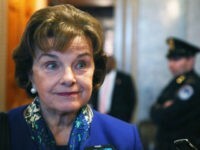 Senator Dianne Feinstein (D-CA) smacked down her former Silicon Valley allies this week by blocking a federal deregulation that would have expedited the testing of self-driving cars. 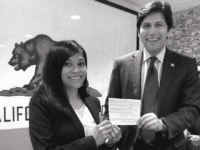 California has its first illegal alien in state office, after Senate President pro Tem Kevin de León (D-Los Angeles) appointed Lizbeth Mateo to the California Student Opportunity and Access Program Project Grant Advisory Committee. 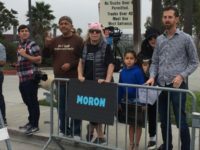 President Donald Trump was only scheduled to arrive Tuesday for his first visit to California as president. 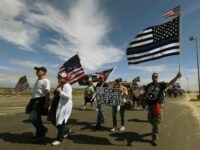 But the so-called “Resistance” had already been protesting since Monday. 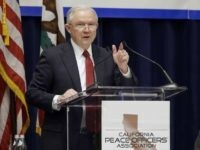 SACRAMENTO, California — U.S. Attorney General Jeff Sessions compared California’s “sanctuary state” laws to the historic defiance of the South against the federal government in a speech to law enforcement officials on Wednesday. 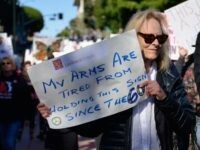 The California Democratic Party declined to endorse incumbent Sen. Dianne Feinstein (D-CA) for re-election at its annual convention in San Diego early Sunday. 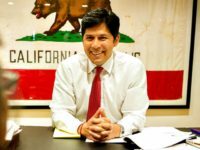 The Service Employees International Union (SEIU), the nation’s second-largest union, endorsed State Senate President pro Tem Kevin de León (D-Los Angeles) for U.S. Senate over incumbent Sen. Dianne Feinstein (D-CA) on Tuesday. 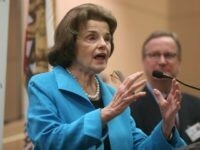 President Donald Trump’s nickname for Sen. Dianne Feinstein (D-CA) and her ongoing fight with the commander-in-chief may have helped her in the polls as she seeks re-election to a fifth term in the Senate against fellow Democrat rival state Senate President Pro Tem Kevin de León (D-Los Angeles). Former Los Angeles mayor Antonio Villaraigosa has caught up to Lt. Gov. 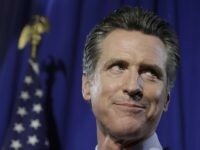 Gavin Newsom in the race for California governor, after trailing since the start of the race. 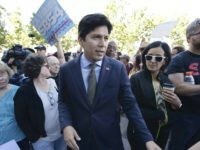 California, already dominated by Democrats, is about to become even more left-wing after the 2018 elections.